If you are a coolant, lubricant, or equipment supplier looking to supplement your current existing product line with cutting edge and proven neutral cleaner technology, then please inquire today. Even if your current product line currently includes traditional alkaline cleaners, neutral cleaners can be an important supplement in a line of cleaning products that covers all cleaning applications (especially for cleaning opportunities involving soft metals like aluminum, copper, and brass where neutrals win every time). ESS neutral cleaners can be a drop in replacement for most parts and floor washing applications. Just need a floor soap or pressure wash solution? No problem, ESS has the neutral product for every need. ESS has the in house formulation expertise to create or modify any formulation to fit any cleaning related application. 1. Distributor – A stocking distributor gets wholesale pricing on ESS products with minimum order requirements. The distributor inventories ESS neutral products and handles all customer service, invoicing, delivery, on-site service functions for customers. The Private Label Program for ESS neutral products would also be an available option. If manufacturing capability is available at the distributor, then products can be supplied as Super Concentrates and diluted down and packaged by the distributor (as an additional option). Rules and regulations do apply. 2. Independent Sales Representative – An independent sales representative sells ESS labeled neutral products and gets paid a commission on collected invoices from that sale (excluding fees and freight). The sales rep interacts with customer regularly and provides timely updates to ESS. 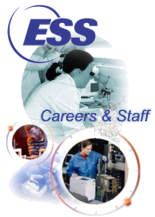 ESS handles customer service, delivery, invoicing, technical assistance and other customer functions. The Private Label Program may be possible with minimum volumes sold. Rules and regulations do apply. Call 877-NEUTRALS or (262) 238-5576 Monday through Friday, 8:00 am to 5:00 pm Central Standard Time to find out more today! Or, just click here to inquire via email.